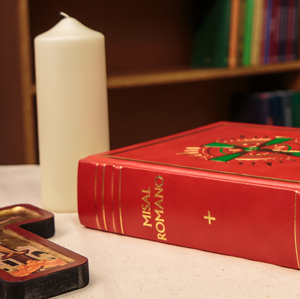 Called for and approved by the United States Conference of Catholic Bishops, Misal Romano is the first Spanish Missal approved specifically for use in the United States. Its mandatory use date is the first Sunday of Advent (December 2, 2018). The recordings of the liturgical texts in Misal Romano were prepared by OCP and are offered to help priests, deacons, music ministers, and others these chants. This collection of chants is organized according to the outline of Misal Romano. Click on each section to the right to find the music and recordings.